You've seen these terms often: “drought tolerant,” and “water-wise.” For water conservation and sustainable gardening, Master Gardeners recommend plants that are adapted to the long, hot, dry summers of the Mediterranean climate. But what are the characteristics that qualify a plant for membership on the Drought Tolerant Team? The beauty of evolution is its reliance on trial and error, or adaptation. What works, works very well, and allows life in many forms to exist in some of Earth's harshest environments. The climatic conditions of the planet's seven Mediterranean Zones include between five and seven months of zero precipitation, and many days in a row with high temperatures of over 100 degrees Fahrenheit. These are challenging circumstances for any living thing. Yet a wide variety of plants have evolved clever strategies to survive these long, dry, hot periods. What these strategies are, and how they enable plants to survive (and even thrive), are the focus of this article. This topic was inspired by a presentation given to Butte County Master Gardeners at their July 2015 monthly meeting by Dylan Burge, at that time a post-doctoral researcher at the California Academy of Sciences, and currently the owner of Dylan Burge Biodiversity Consulting. Desiccation Tolerance: To desiccate something is to thoroughly dry it. Tolerance of desiccation gives a plant the remarkable ability to survive almost total dehydration. This strategy is employed by mosses and ferns. Briefly, plants in this category have developed the ability to enter into, and recover from, anhydrobiosis, the cessation of metabolic activity as a result of low intracellular water content. Next time you are hiking in Upper Park or the foothills during the dry months, you can see this phenomenon for yourself. Find a patch of rust colored, crunchy dry moss on a rock, and gently pour a small amount of water on it. In seconds, what appeared to be completely dead vegetation will turn green and supple. Drought Avoidance: Many succulents employ strategies of drought avoidance. The most common of these strategies is Crassulacean acid metabolism or CAM (so named because this type of metabolism was first studied in plants of the family Crassulaceae). To avoid complete dehydration due to heat and drought, the stomata in the leaves remain shut during the day to reduce evapotranspiration, but open at night to collect carbon dioxide (CO2), from which they are able to complete the process of photosynthesis during daylight hours. Another form of drought avoidance is early leaf drop. 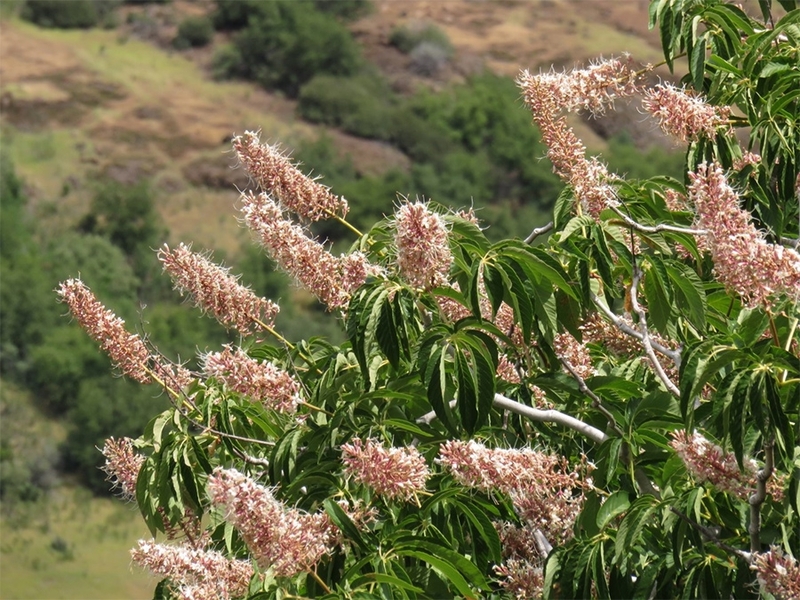 A good example of this is the buckeye (Aesculus), which occupies a unique ecological niche by being one of the first shrubs to leaf out and flower in early spring, and also one of the first to lose its leaves, well before the onslaught of summer heat and drought. Leaves demand precious nutrients and energy, and without them the buckeye can conserve these resources. During years of drought, and during sustained periods of high temperatures, our valley oaks and blue oaks lighten their metabolic load by dropping some leaves earlier than usual. Thick, leathery leaves with waxy cuticles, which perform dual functions of cutting down on water loss and reflecting heat away from the plant. 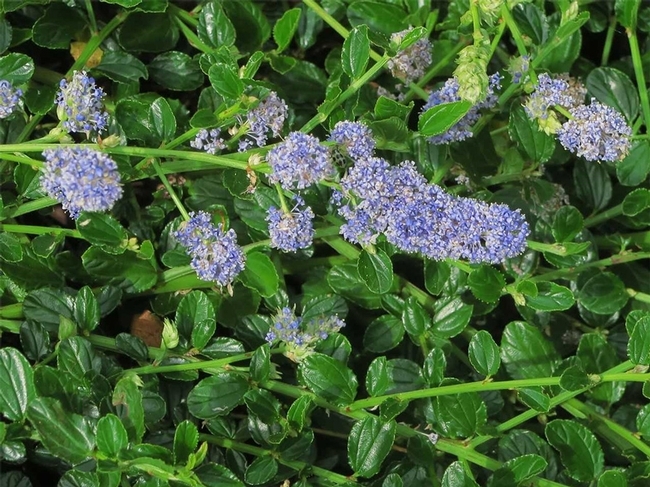 Our native Ceanothus (California Lilac) is a prime example of this. Small, thin leaves, which effectively reduce the surface area from which water loss can occur. 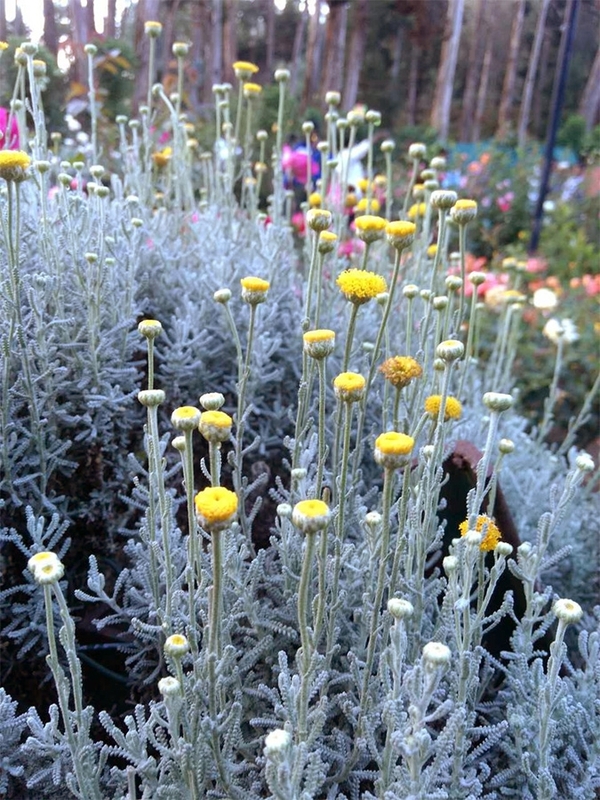 The tiny yet highly fragrant leaves of Santolina typify this adaptation. Sunken stomata pits, which trap moist air and reduce water loss rates. Pine needles employ this strategy (as well as being small and thin). Hairy leaves, like those found on Cyprus ironwort (Sideritis cypria) or Lamb's Ears (Stachys byzantina), which shade the stomata and reduce contact from hot air, protecting plants from extremes of light and temperature. Redundancy is a hallmark strategy for species survival (think two kidneys in human beings); and most plants employ more than one method of beating the hot dry summers of the Mediterranean climate. Now that you know what to look for, see how many of these ingenious biological adaptations you can spot. Beautiful, Sustainable, and Functional, With No Added Water! Sideritis. It sounds like a medical condition, but it is actually the name of a plant genus known for its medicinal properties. And it is one of the latest additions to the UC Master Gardeners Demonstration Garden at the Patrick Ranch (10381 Midway, just south of Chico). This spring (2018), Master Gardener David Walther, an expert on unique and fascinating plants and owner of Spring Fever Nursery, added a Dry Garden to our Demonstration Garden with the help of a hard-working team of fellow Master Gardeners. 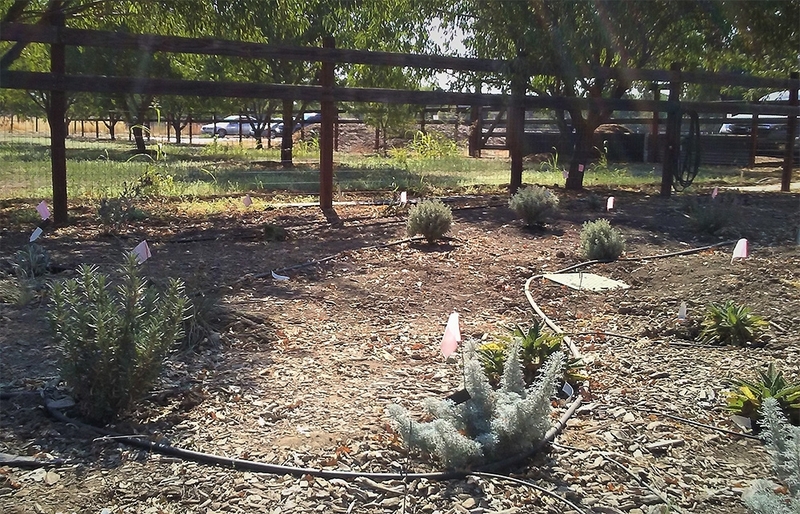 This new garden is located between the Heritage Almond orchard and the roundabout in front of the Patrick Ranch Museum Gift Shop. The Dry Garden features plants that, once established, need NO supplemental water during our hot, dry summers. Yes, you read that right. Ideally, Walther and his crew would have planted the varieties showcased in the Dry Garden in mid- to late-October 2017. Fall and winter rains alone would establish the plants and no further supplemental irrigation would be required. But due to the delayed planting schedule, the Dry Garden is receiving some supplemental water this season. Once the rains come (usually just after Halloween), the array of plants in the Dry Garden will be left to their own devices to survive our valley summers. Walther chose about twenty species of plants for their beauty and their hardiness (see sidebar for a complete list). Among the usual Mediterranean suspects such as Santolina, several species of Phlomis, and Teucrium chamaedrys, there's a new kid in town: Sideritis cypria. Sideritis is a little toughie that exhibits a number of desirable qualities. It is strikingly beautiful; wind and deer resistant; evergreen (with interesting foliage year-round and contrasting flower spikes in summer); can take full sun and heat; and prefers to be dry all through the summer. The suffix “wort” comes from a Middle English word (wyrt) for root, and nowadays indicates a plant that has been historically used for food or medicinal purposes. According to Oliveology, an online resource devoted to “sharing and enjoying the culinary treasures and gastronomic traditions of Greece,” Sideritis was well known to ancient Greeks, particularly to the pharmacologist/ botanist Dioscurides, the philosopher Theophrastus, and to Hippocrates. A number of sources note that in ancient Greece it was commonly used to treat wounds, especially those inflicted with iron swords or arrows. A few moments on the internet reveal that a wide range of medicinal and health properties are assigned to the genus, including as a remedy for colds, aches, allergies, indigestion, and respiratory issues. There are claims that it can boost the immune system. Some studies suggest that not only does Sideritis prevent and treat Alzheimer's disease but it also can forestall osteoporosis. In 2011, the Journal of Ethnopharmacology published findings that Sideritis species were shown to have anti-microbial, anti-inflammatory, antioxidant, and antispasmodic properties. A 2012 publication of the Journal of Physiology and Pharmacology noted that extracts made from Sideritis helped lower blood pressure levels while helping blood vessels to relax. 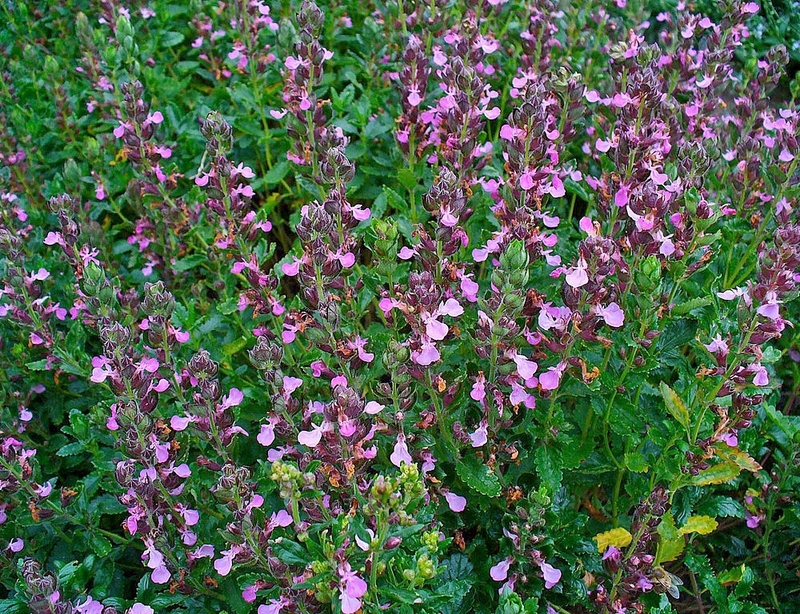 You may have heard of Sideritis in one of its common medicinal forms: Greek Mountain Tea, Shephard's Tea, or just plain old Mountain Tea. Miraculous medicinal claims aside, the Cyprus ironwort is a spectacular-looking plant. 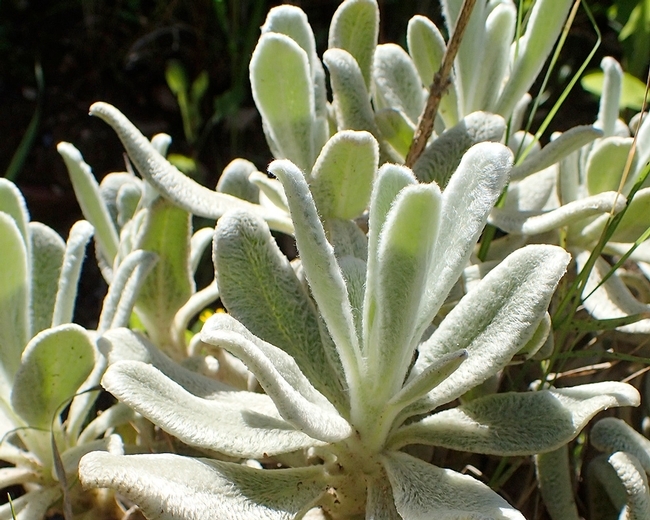 When not flowering, it is a mound of soft furry gray green leaves that grows to about one foot tall and wide, and looks very similar to lamb's ear (Stachys). It blooms, in the summer, by putting out contrasting chartreuse flower stems which rise another 12-18 inches above the leaves, and carry cuplike yellow flowers. Unfortunately, this hardy beauty is listed as “vulnerable” in its native habitat under the International Union for Conservation of Nature, due to development, wildfires, mining, and other environmental stressors. You can find Cyprus ironwort and many of the plants featured in the Dry Garden at local nurseries which specialize in California and Mediterranean natives. These plants epitomize the premise upon which the Master Gardener Demonstration Garden is based: The New California Garden: Beautiful; Sustainable; Functional. And no additional water required! 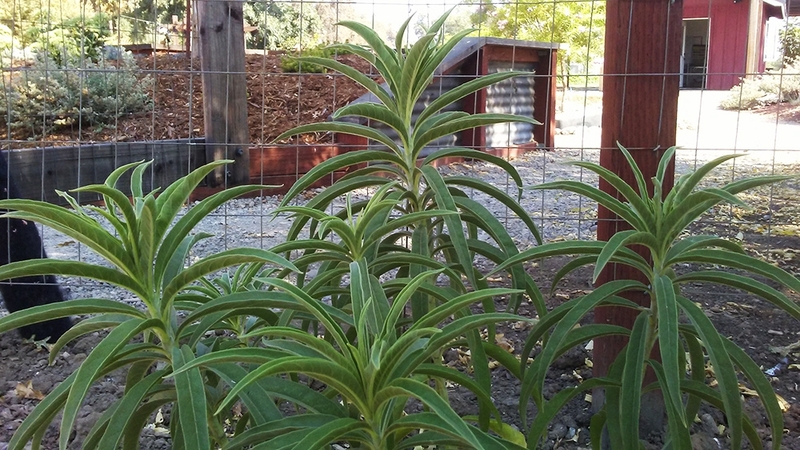 Note: For more information about the Master Gardener Program and the Demonstration Garden, please visit http://ucanr.edu/sites/bcmg/ . Garden questions can be directed to the Hotline at 530-538-7201. It's not uncommon for a garden to seem a bit bare from late fall through early spring, when very little is in bloom. Luckily, hardy cyclamen and hellebores can help fill this gap by providing color from flowers while adding interest from leaf shapes and patterns as well. Cyclamen hederifolium and Cyclamen coum are smalller, garden-adapted relatives of the florist's cyclamen (C. persicum). They are both native to Mediterranean regions, and are the easiest species of cyclamen to grow in the home garden. Both species are hardy to USDA Zone 5 and do best in well-drained soil rich in humus, and located in areas of dappled (not heavy) shade among trees and shrubs. They are moderately drought-tolerant, very long-lived, and thrive with very little care. To grow cyclamen, plant tubers in early fall, about one inch deep, and six inches apart. Low mounds are their ideal habitat. The tubers do not multiply, but plants will self-sow, forming colonies. In summer the plants go dormant and need a little moisture to keep roots from dying back. Watering in late summer and early fall breaks dormancy and encourages new growth. 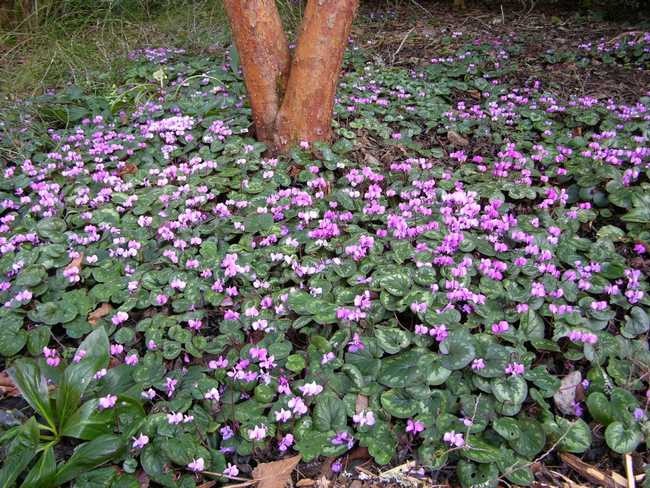 Cyclamen hederifolium is the hardiest, most robust and easiest species to grow. It self seeds and will naturalize. 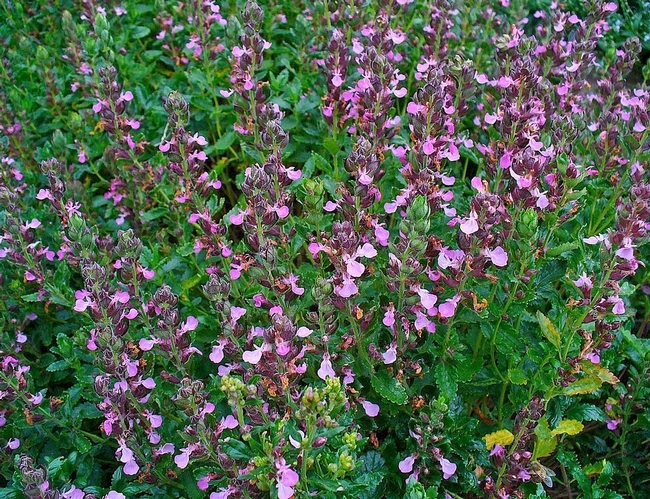 It is tolerant of all average garden soils, and can also grow in areas with more sun. Deep to light pink fragrant blossoms on stems 4 to 6 inches in height appear from late August through November, just before leaves develop. In cultivation, white blossoms develop on some plants. As flowers fade and seeds form, the spent stems spiral earthward and indicate the origin of their name, as cycla is the Greek word for circle. 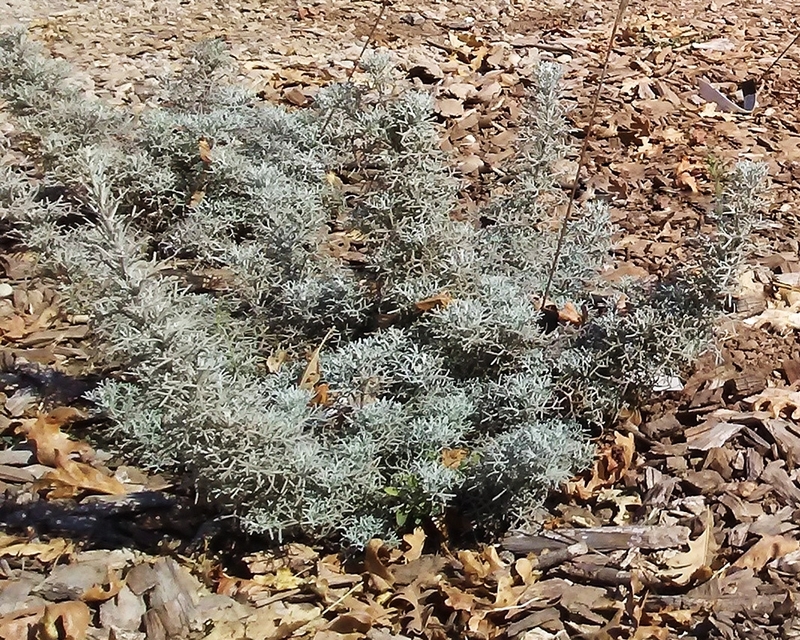 Foliage lasts until late spring and in a colony creates an almost evergreen ground cover. Leaf shapes vary from heart-shaped to spear-like. Leaves may be marbled green with a symmetrical darker green or silver fractal pattern. The tubers are long-lived, can grow to the size of a small dinner plate, and should produce a profusion of blooms. Cyclamen coum produces leaves in October followed by flowers from January to March. In habit and reproduction it resembles C. hederifolium. C. coum can be crowded out by C. hederifolium, so it is best not to plant them near one another. 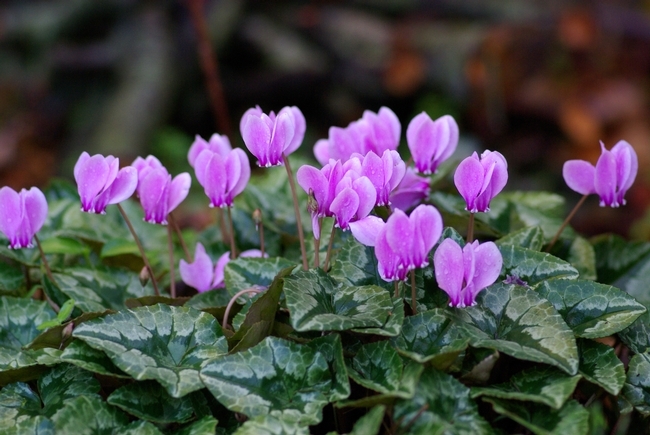 Watch for pests: root weevil, aphids, slugs, snails, mice and squirrels can do occasional damage to cyclamen. 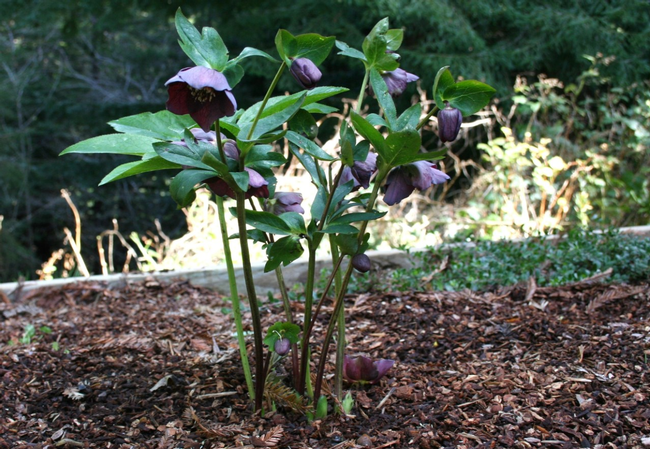 The most common hellebores (Lenten roses) are the Oriental hybrids (Helleborus x hybridus). They are long-blooming (starting in February), low-maintenance, evergreen perennials which originated in Mediterranean regions. Leaves rise from underground stems (rhizomes), and form clumps that can reach two feet wide by one foot high. Flowering stalks are 12-18 inches high; a single hellebore clump may bear as many as 50 flowers. Although they will tolerate dry shade and sun, partial shade is best. Do not locate in wet spots or alkaline (high pH) soils. Plant them with their crowns just covered by soil. They appreciate organic matter. 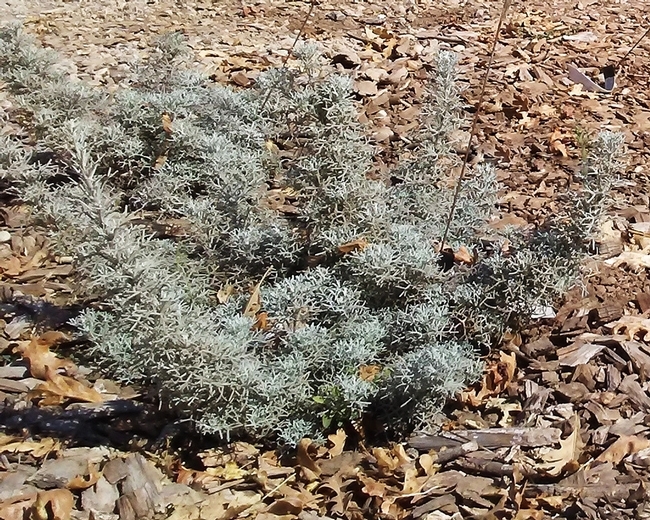 Remove dying foliage in January before buds emerge. Plant growth slows during the summer. Helleborus niger is called the Christmas rose, and blooms earlier—late December or early January. Hellebore colors range from white to purple, with many color patterns on the petals (which are actually bracts or calyxes). White flowers tend to turn green with age, while the purples hold their colors. Flowers may persist for 3 months. Hellebores rapidly self-sow. Seedlings are not true to parental type, but can be transplanted to rapidly populate a garden. If you buy a variety of plants, their seedlings will produce a spectrum of flowers to choose from. Plants will flower in one to three years. Although division isn't necessary, it is the best method to ensure an exact duplicate of a particular plant. Ideally, divide in fall or winter, although it is also possible to divide around flowering time. Clumps can be lifted, divided and reset by pulling the crowns apart, or divided while in the ground using a sharp knife or shovel. Avoid dividing into small single divisions, because they will rarely survive. Hellebores contain alkaloid toxins and have been used both as a poison and a purgative. They are pest-free and deer resistant. 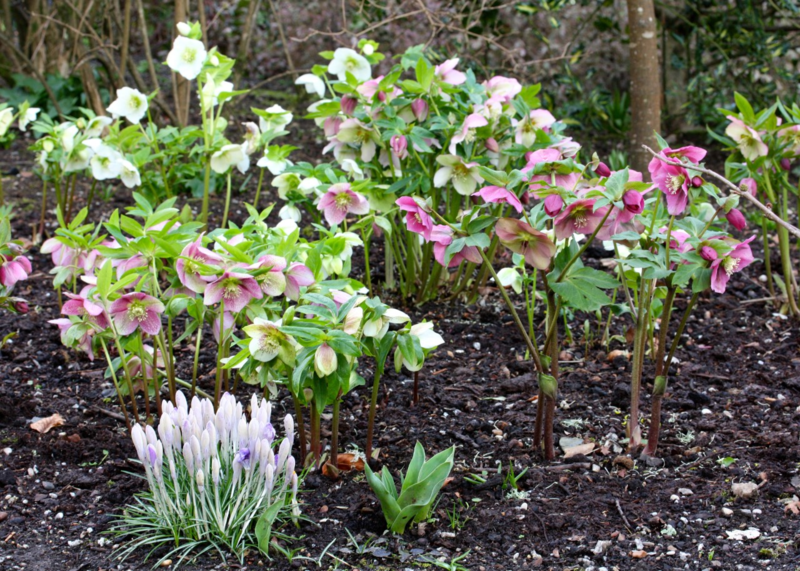 For a long span of color from winter through spring, plant hellebores along with daffodils and hardy cyclamen. By Brent McGhie, UC Master Gardener of Butte County, May 19, 2017. Brent McGhie discusses drip irrigation parts during one of his workshops. As many readers may already know, drip irrigation is a form of irrigation that uses a system of tubes and emitters to drip water slowly onto the soil surface, or directly into the soil. Although methods of slowly applying water to plants have been around since ancient times, modern drip irrigation using plastic tubes and emitters was developed and patented in Israel by Simcha Blass in conjunction with Kibbutz Hatzerim in 1959. The most important advantage to drip irrigation is that it is more efficient than traditional irrigation methods. Drip emitters can be placed to deliver water only where it is needed, so water isn't wasted on unplanted areas. By applying water slowly, drip irrigation also allows water to be absorbed quickly into the soil instead of standing on the soil surface. This means that far less water is lost to evaporation than with flood irrigation or sprinklers. Additionally, because water sinks into the soil rather than puddling, there is less loss due to runoff, which makes drip irrigation a good choice for steep terrain. 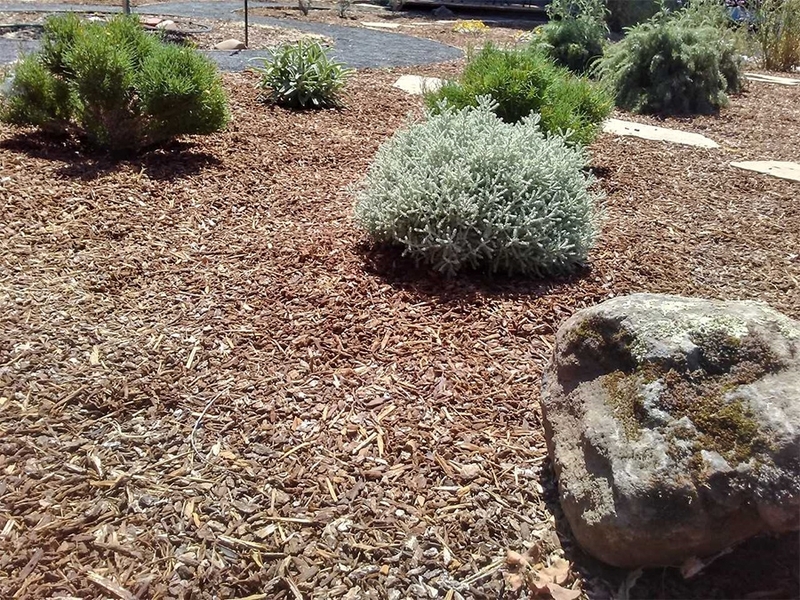 Another way in which drip systems can conserve water is by installing them under a layer of mulch, promoting even greater water savings by further reducing evaporation from the soil. Last but not least, it should be noted that by saving water, drip irrigation also saves the homeowner money. Drip irrigation has several other advantages. In addition to water, plant roots also need air and when soil pores are completely flooded, roots can actually “suffocate.” The slow application of water by drip systems virtually guarantees a good soil/water environment with a balance of water and oxygen in the soil. Next, weeds don't grow if they don't have water, so they become far less of a problem when water is efficiently targeted to desirable plants by using drip irrigation. As a bonus, this means that herbicide use can be cut back or eliminated, which is better for both the environment and the pocketbook. A final advantage of drip irrigation is its flexibility. It can be installed in a variety of landscapes and, at a relatively low cost, it can be altered and changed as plants grow. There are disadvantages to drip irrigation systems that should be considered as well. Sediment or bugs that find their way into the tubing can clog drip emitters. In-line filters can be installed to eliminate most of this clogging, but mineral deposits can also clog emitters. There is really no easy way for homeowners to eliminate this, but clogging due to mineral deposits can be delayed by using emitters with a greater flow rate. For example use a 2-gallon per hour (2gph) emitter rather than a 0.5gph emitter, but run it for a shorter time. The faster flow discourages mineral buildup which can cause clogging. In addition to problems with clogging, drip irrigation systems, with their softer tubing and plastic emitters, are more easily damaged by animals than irrigation systems made of sturdier PVC or metal components. Some dogs seem to delight in chewing on drip tubing, and drip systems also make tempting targets for thirsty rabbits or squirrels. On the plus side, burying drip tubes in shallow trenches or under mulch seems to be effective in mitigating this sort of damage. If you are considering installing a drip system, putting it on an automatic timer is recommended. An automatic timer provides a consistent watering schedule. With a timer, you provide the exact amount of water you want and there is no forgetting to turn the system on or off. Something else to consider when planning a drip system is planting zones. Simply put, this means that the same valve should service plants with similar watering needs. You wouldn't want a drip line that waters a vegetable garden to also serve a cactus garden, because their water needs are so different. A simple, inexpensive pressure regulator is also necessary because drip systems require far less water pressure than normal house pressure. Most emitters cannot withstand pressures greater than 40psi and micro-sprinklers cannot function below 10psi (psi stands for “pounds per square inch,” the measurement standard for water pressure). 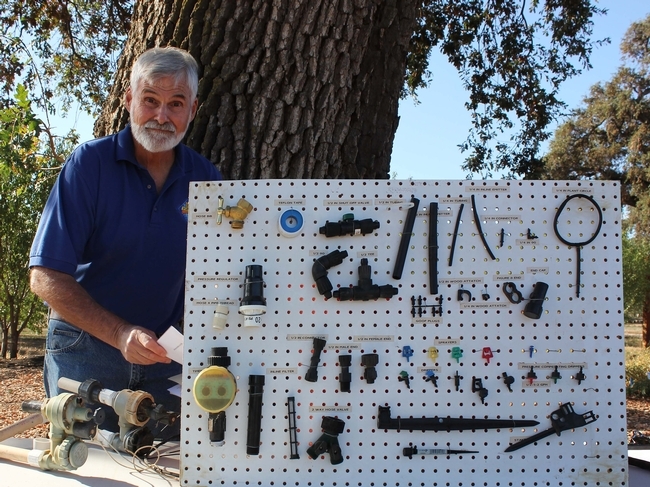 Many retailers offer how-to pamphlets that provide further information on drip irrigation components and installation. Schwankl, Larry, and Terry Prichard. Drip Irrigation in the Home Landscape. Oakland, CA: U of California, Division of Agriculture and Natural Resources, Communications Services—Publications, 1999. By Barbara Ott, Butte County Master Gardener, May 20, 2016. 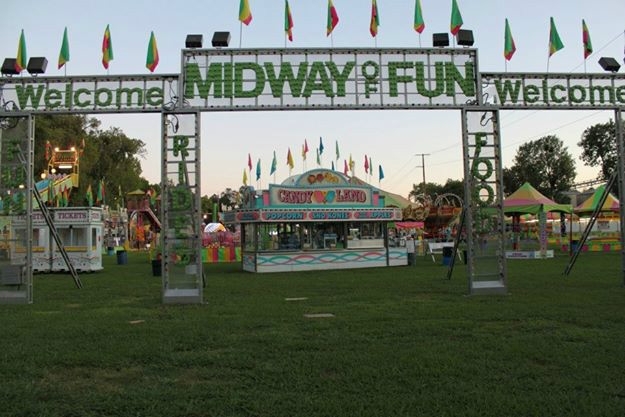 Gridley hosts the Butte Country Fair each August. The dates for this coming Fair are August 25 to August 28, 2016. The word “fair,” like so many other words in English, comes to us from Latin. The closest meaning of “fair” is the Latin feria, meaning “free day” or “holy day.” In medieval times fairs were often connected to saints' days and included agriculture, commerce and socialization. In North America fairs became secular and centered on agriculture and livestock. Over time, they not only became important venues for education in agriculture and animal husbandry, but also places where friendly competition and entertainment took place. The Butte County Fair provides both individuals and organizations throughout Butte County with a venue in which to show off their unique products and skills. We can see the many facets of Butte County expressed through the various exhibits at the Fair, where agriculture, livestock, cooking, and gardening are primary categories of competition. Ribbons, plaques, and premiums are awarded in these categories. The Flower Bowl building on the fairgrounds is a good example of friendly competition among gardeners. Each year the Adult Floriculture Department of the Fair presents one of the largest cut flower exhibits in the North Valley. In 2015, for example, this department featured more than 600 exhibits of cut flowers. And this number does not even include the other plant divisions represented at the Flower Bowl: in addition to Cut Flowers, the divisions include Flower Design; Container-Grown Flowering Plants; Container-Grown Foliage Plants; Hanging Plants; Cactus and Succulents; Herbs; Fairy Gardens; and Terrariums. While individual gardeners and plant breeders are the primary contributors to many of these divisions, there are two specific areas where organizations compete. Local garden clubs and other organizations contribute displays to the Flower Bowl Booths, keyed to a distinct theme each year. For 2016 there will be entry fees for the plant divisions and booth division. Premiums will be paid to the top three winners in every division. In addition, there will be a new area outside of the Flower Bowl building comprised of four-foot by four-foot plots. Here, local garden clubs will be able to show off their own unique contributions and skills. There will be no fee attached to these new plots this year. Amateur gardeners and floral designers are encouraged to enter in all of these divisions. Think about entering your most successful plants: maybe a favorite rose bloom or a wonderful outdoor container you have planted with an eye-catching combination of flowers and grasses. Have you made a fairy garden or a terrarium lately? Come show off at the fair. Let others see your accomplishments, and you might even place as a winner and get a premium. More information about the specific Butte County Fair divisions and their requirements are outlined on the Fair's website, at Butte County Fair. This year the Fair Entry Book will be entirely online, simplifying the process of entering and paying entry fees. Even if you don't enter an exhibit, come and experience the joys of horticulture at the Butte County Fair this summer!